We are doing a little bit of fancy building out in the back yard to convert a bit of space from grass to a food plot. A few years ago I cut down and old tree that was both ugly and in the way. I had high hopes of sawing the tree into boards (just to see if I could) and doing something interesting with it. Three years later, the log is pretty well rotted…and in the way like the tree before it. I rolled it out of the way so we could work and we found a regular entomological wonderland! These two huge beetles dashed around in circles. 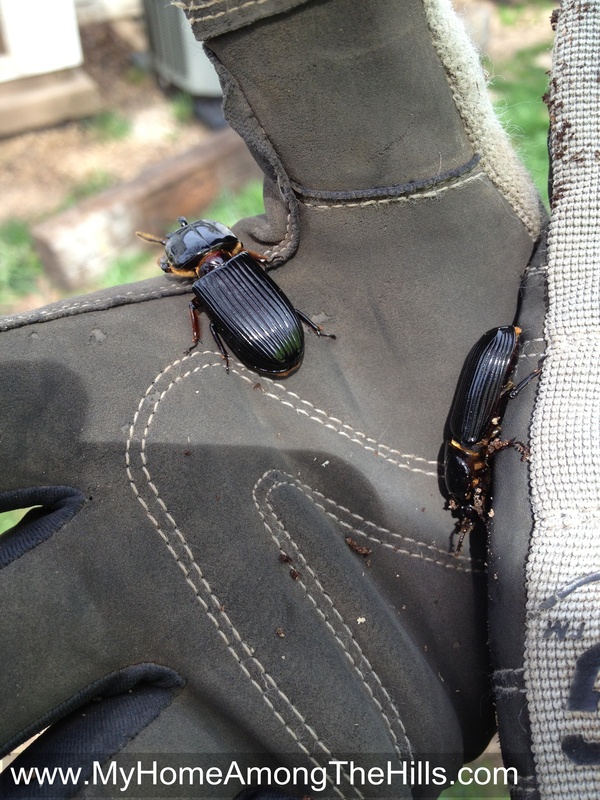 I dubbed them vampire beetles because they just wanted out of the sun. 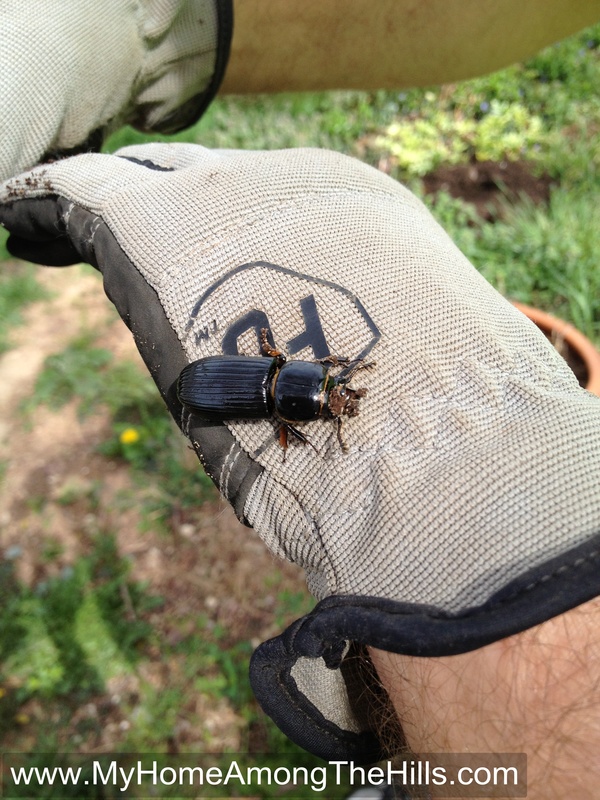 I think they were actually Patent Leather beetles (Odontotaenius disjunctus). I let them crawl around on my hands and arms a bit, trying to get the kids excited (in a “my dad is so brave and awesome” kinda way). It didn’t exactly work as I expected but I was delighted that the kids at least wanted to touch the beetles. I am a country boy trying to raise city kids to not be too much city and a little more country…touching bugs is a good step on the path. 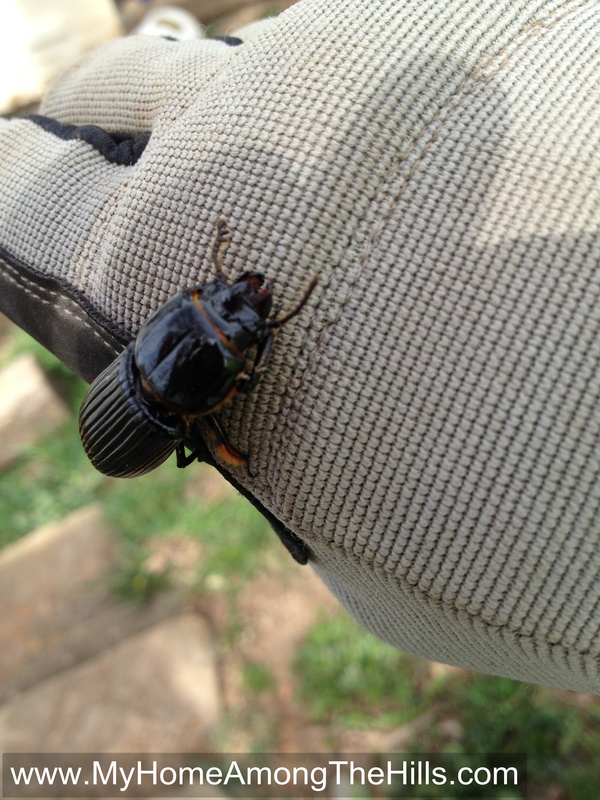 I delivered both beetles to a safe spot nearby…I do not want to harm such cool and beneficial bugs. We also noticed a large millipede cruising around quickly once we moved a chunk of bark. We could not pick him up but he was super cool though a little shy. He had no interest in posing for a photograph. I am not sure about exactly what type of centipede he is but I think he is in the genus Cryptops. I also learned a little something about centipedes versus millipedes. 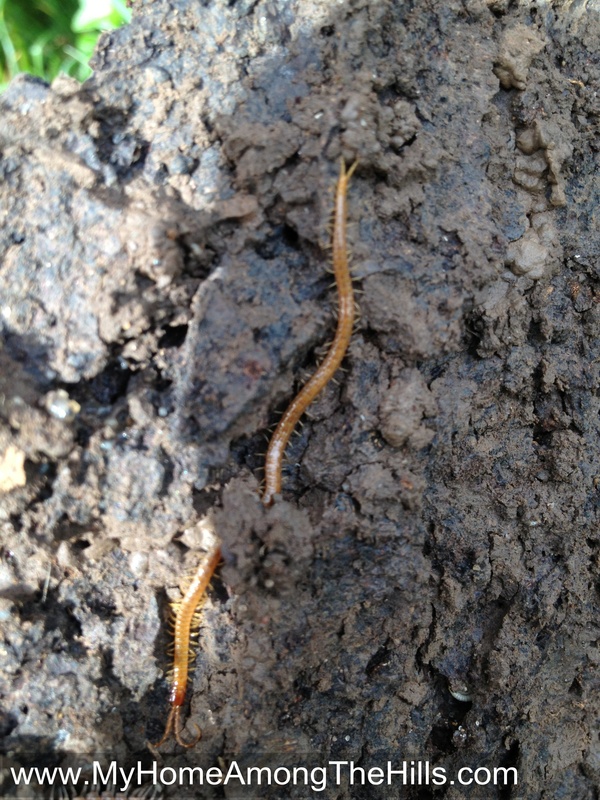 Millipedes have 2 leg pairs per segment while centipedes have one leg-pair on each segment. Centipedes have venomous legs while millipedes do not. Centipedes are fast while millipedes are typically not. Gosh, there are so many other differences…read some more here. Anyhow, I think what made me happiest about this log was the worm family we found there. Abigail bent right down and grabbed up a worm. It’s a simple little thing but I love that my darling little daughter will pick up a worm without worrying about it being slimy or wiggly. 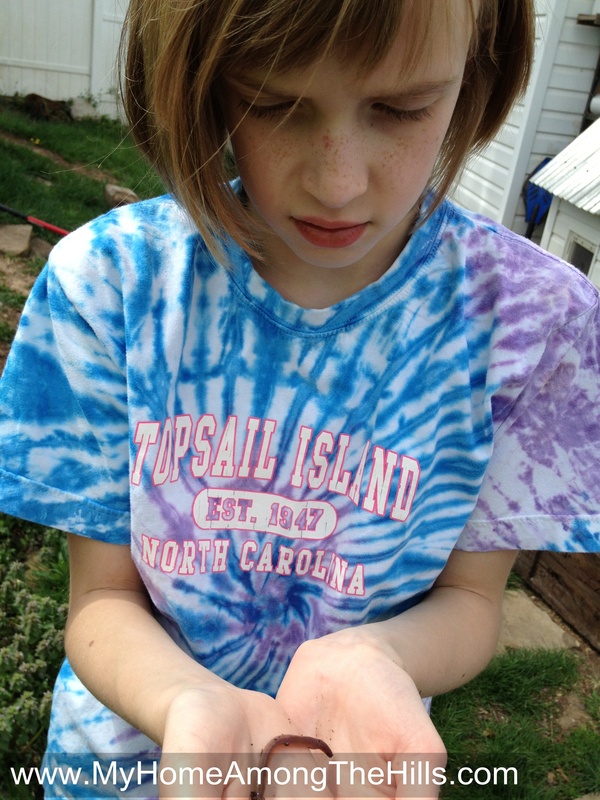 She relocated a family of worms the other day while some other little girls looked on in shock. I have city kids but even in the city, under a log, lies adventure and wonder and just a little bit of country! I mentioned mountain color in the last post and as much as I like green, I think purple has to be a close second. 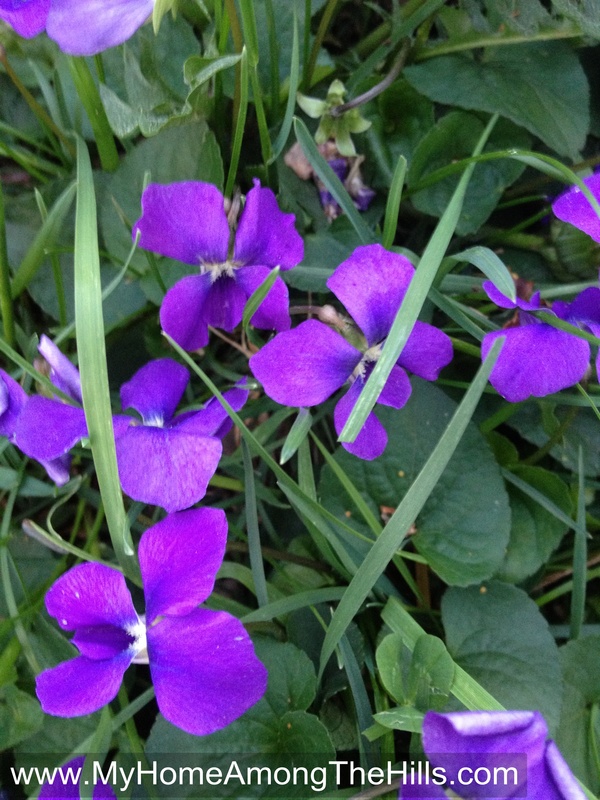 We have thousands of wild violets in our yard this time of year. They make a really nice blanket of purple in the still-alive-until-summer green grass we have. 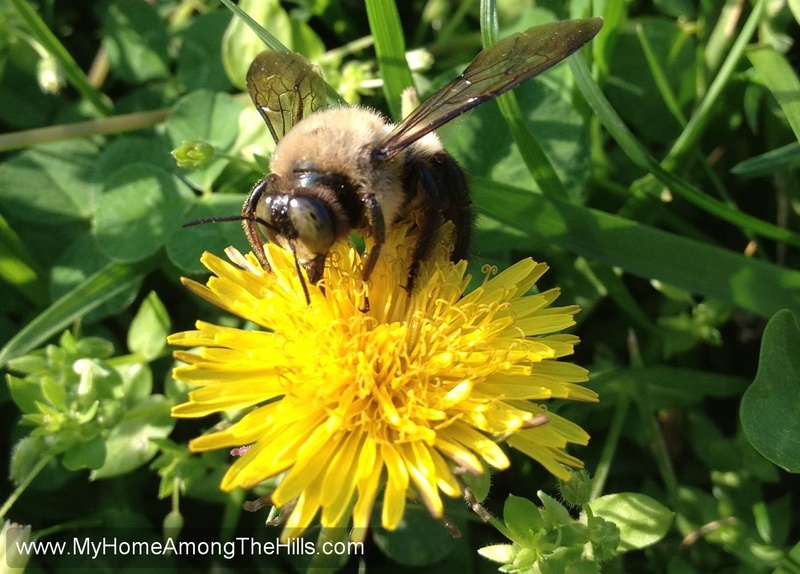 I hate cutting grass with a passion and my excuse is usually something along the lines of, “I hate to lose all of the pretty flowers that the bees need so much right now.” It has nothing to do with my being lazy of course…it’s for the bees! 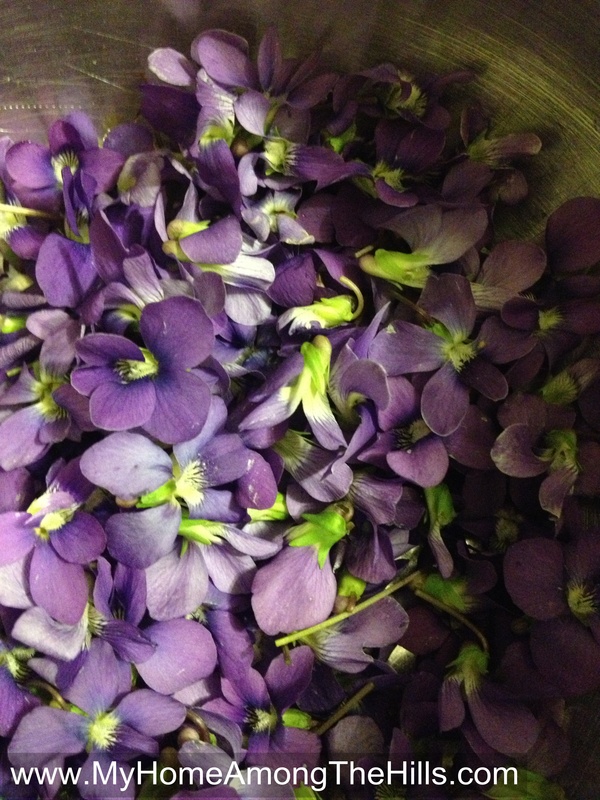 Rinse and drain fresh-picked Violet blossoms; place in a large heat-resistant glass bowl or Pyrex measuring cup. Pour boiling water over the blossoms. Allow to steep until cool, then cover and allow to stand overnight. Strain blossoms and reserve violet liquid. Discard blossoms. Measure violet liquid; add enough water to measure 3 1/2 cups (liquid will be blue-green). Pour liquid into a large stainless steel pot. Measure 4 cups sugar (exactly 4 cups) and reserve. Stir in lemon juice and pectin. Place pot on stove top and bring to full rolling boil on high heat. Add 4 cups sugar all at once and stir continuously until sugar completely dissolves. 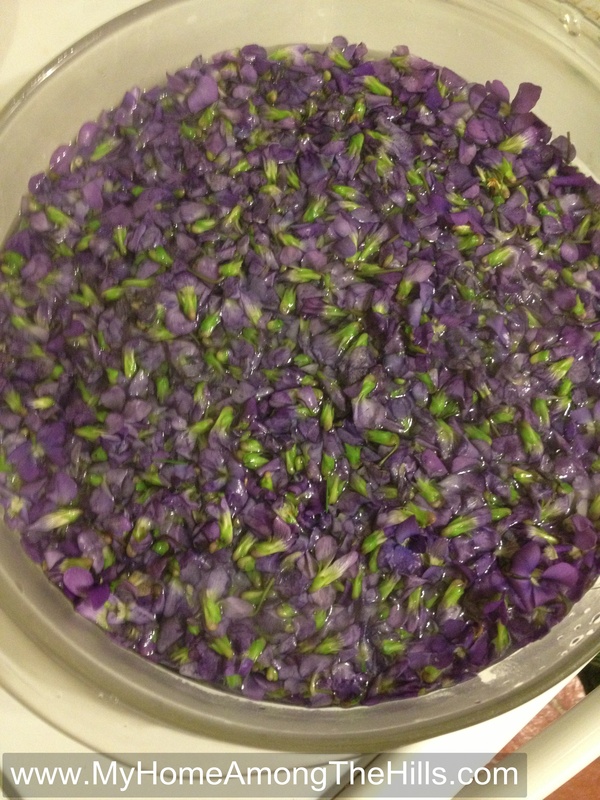 The mixture will turn a reddish-violet (depending upon the color of the Violet blossoms). Continue stirring until mixture comes to a hard rolling boil. Stir exactly 1 minute (use a timer), then remove from heat. 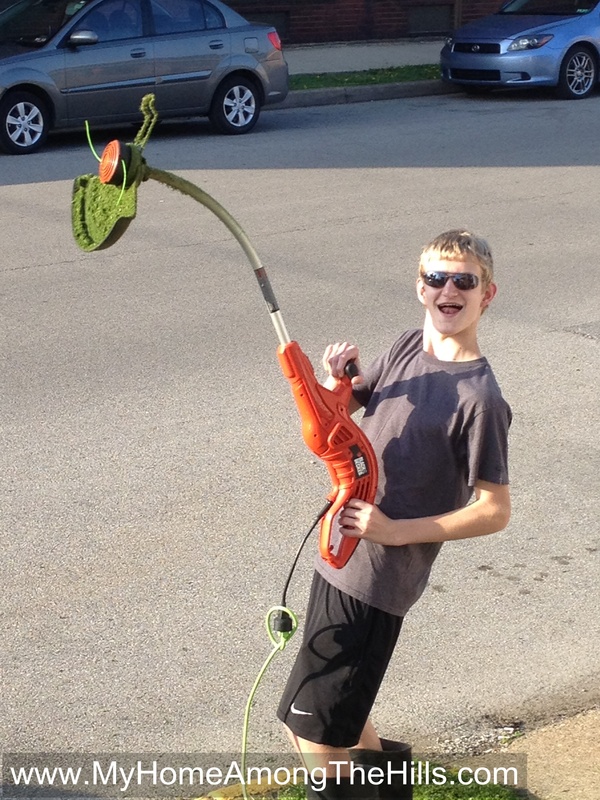 Skim foam. Carefully ladle hot liquid into hot sterilized half-pint jars, leaving 1/4-inch headspace. Wipe jar rims, add lids and screw rings. 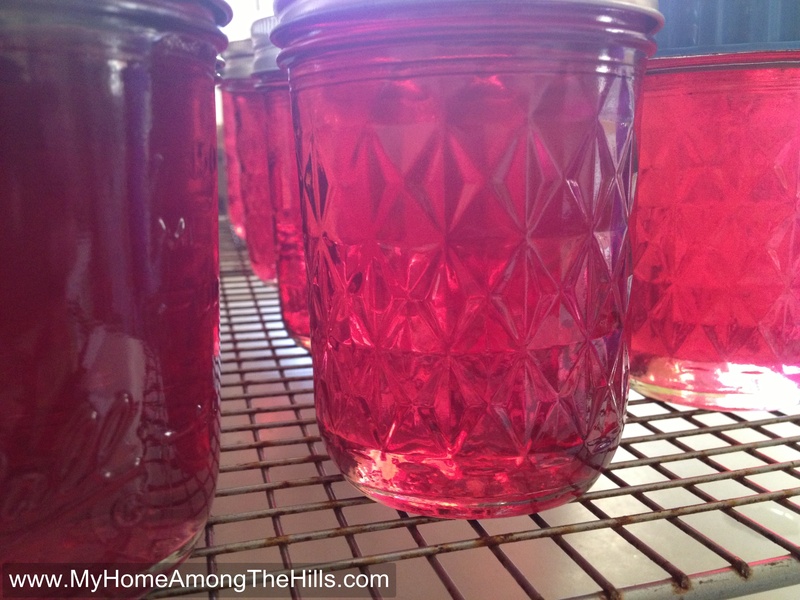 Adjust lids, place jars in canner and make sure boiling water covers jelly jar lids by 1 inch or more. Cover, bring canning water to a boil. Remove from boiling water bath and allow to cool (and ping!). When cooled, check seals and refrigerate any jars that failed to seal properly. 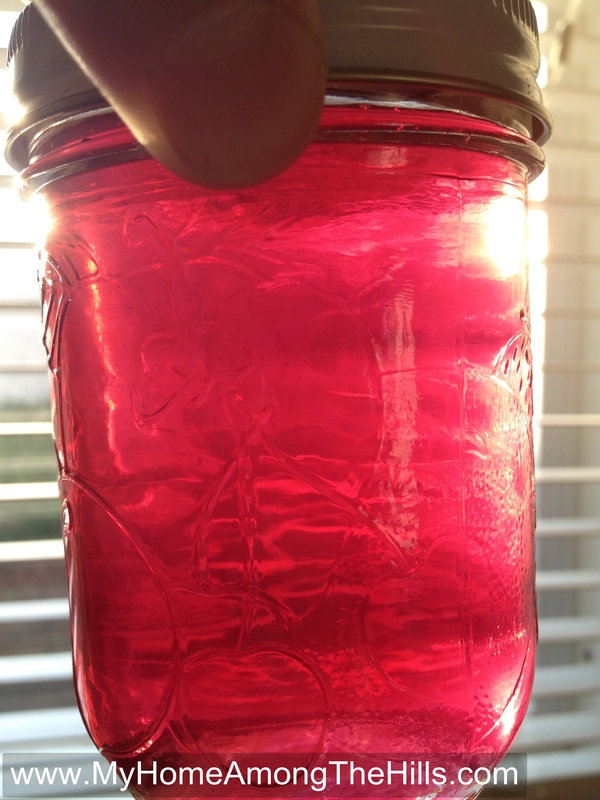 Anyhow, the jelly is a beautiful light purple and is some of the prettiest food I have ever seen. It has a super mild flavor and is a little earthy…maybe. I am not sure if that is the right word. Wild is more like it maybe? But that sounds bad…like eating poorly cooked ‘possum or something. Anyhow, it is a light, subtle flavor and will be a really nice addition to our breakfast toast. 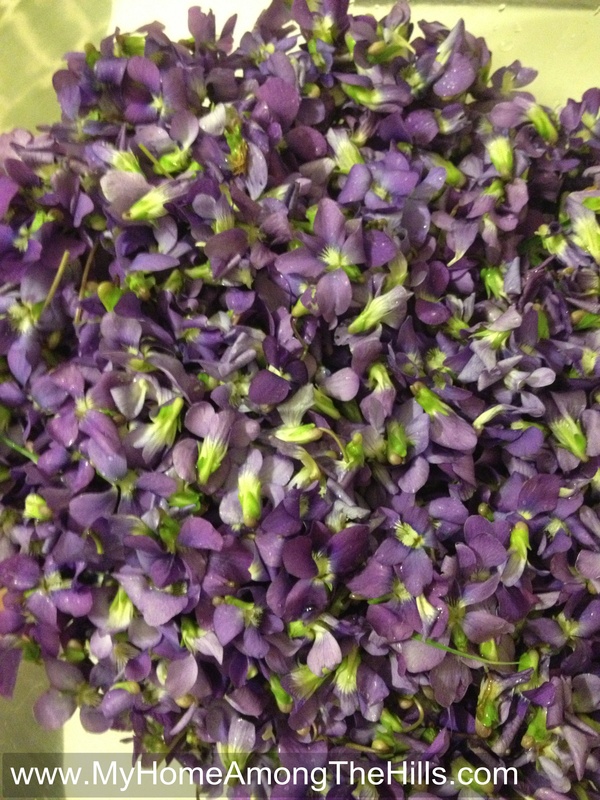 If you have some violets, whip up a batch and let me know how you would describe the flavor! I love April. In fact, yesterday was the perfect date…”April 25th. Because it’s not too hot, not too cold, all you need is a light jacket.” That’s from Miss Congeniality…one of the funniest movies ever. Of course, I would laugh at anything that has Sandra Bullock. I have a secret crush on her. Anyhow, the end of April is perfect I think. Temperatures are nice but really, the colors that pop are what make it especially excellent for me. I took some pictures that don’t even begin to capture how beautiful and vivid the colors are right now (and especially the last week or so). There is such diversity of life here and the mountains, as they green, are just alive with colors. 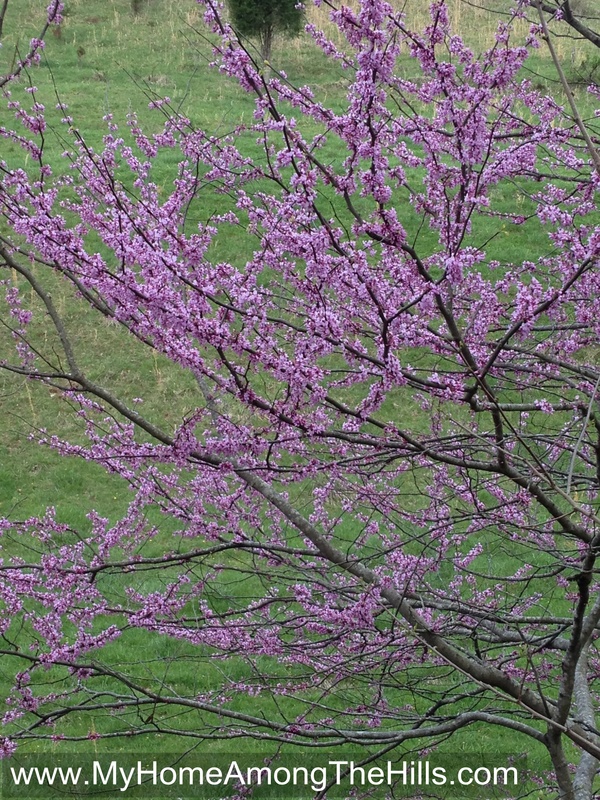 Dogwoods and redbuds seem to burst out everywhere. 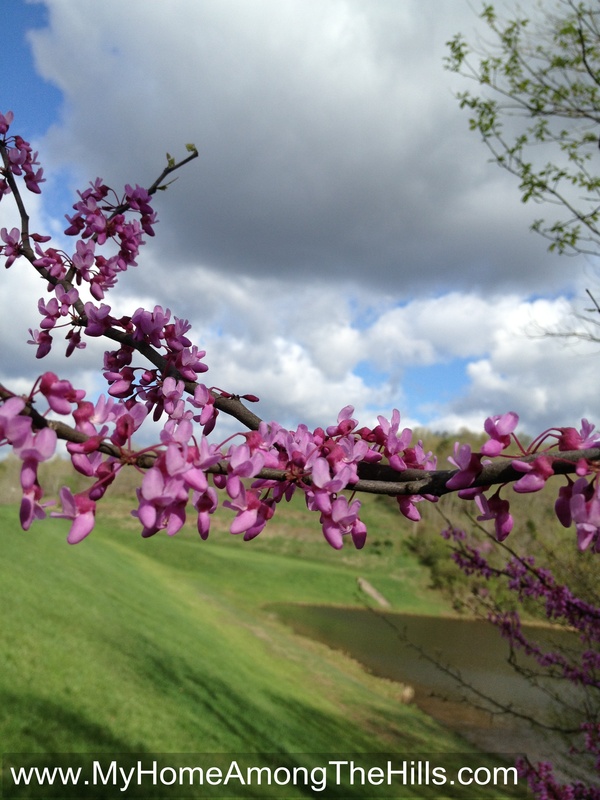 While nondescript during the summer, redbuds and dogwoods are the princes of spring! Maples come alive first and give the first reddish tint to the mountains but the real power comes later with the purple and white buds that follow. I guess the lower humidity and temperature make it so, but even the green backdrop of the leaves and grass are just more vivid than any other time of year too. I suppose I sort of come alive again after the (for me) depressing winter browns. I come to really appreciate the color in the mountains every spring and it just wouldn’t feel right without seeing the change and being in the change. Its in the birds’ songs and the frogs peeps and most definitely in the color of the trees! Something occurred to me this weekend. In a way, I am a story teller, telling the day-to-day nonsense that goes on in our lives here on this blog. I know that’s pretty much what blogging is all about and it’s pretty cool how I get involved in other people’s lives and how (I suppose) some of you, dear friends, become involved in our lives. I enjoy telling our stories, for, like sands through an hourglass, these are the days of our lives. Anyhow, this realization came to me while at an actual concert put on by a real, professional story teller, Lorna MacDonald Czarnota. My friend Granny Sue held a house concert where both she and Ms. Czarnota told several diverse stories and sang ballads. I don’t know if you have ever heard a professional story teller, but if you ever get a chance, go and listen. Granny Sue is our neighbor so I knew her house. 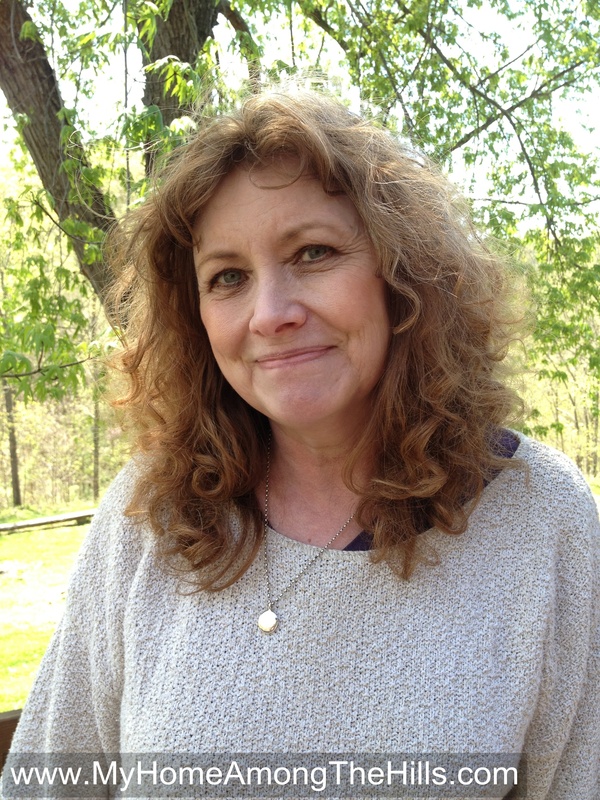 She has a fantastic house in the woods surrounded by trees and birds and flowers. 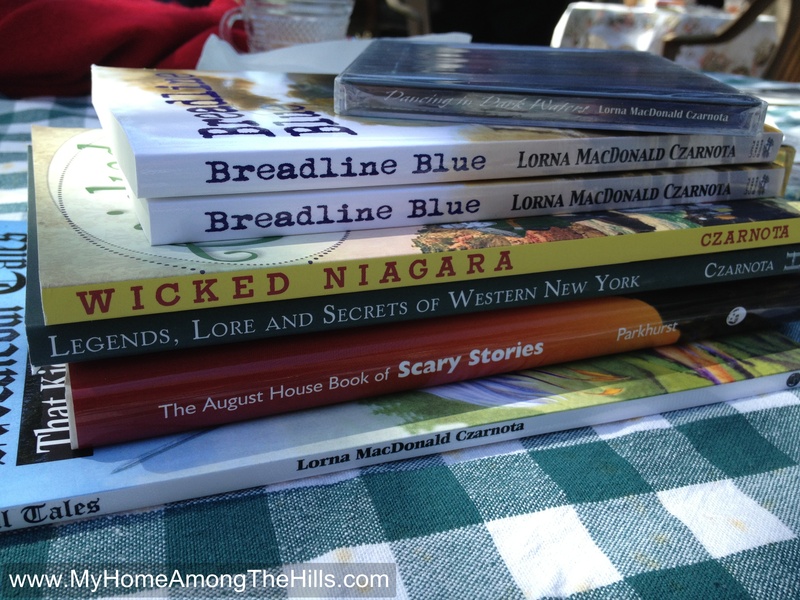 Her home is incredible, filled with antiques and mountain heritage and beautiful glassware and books. 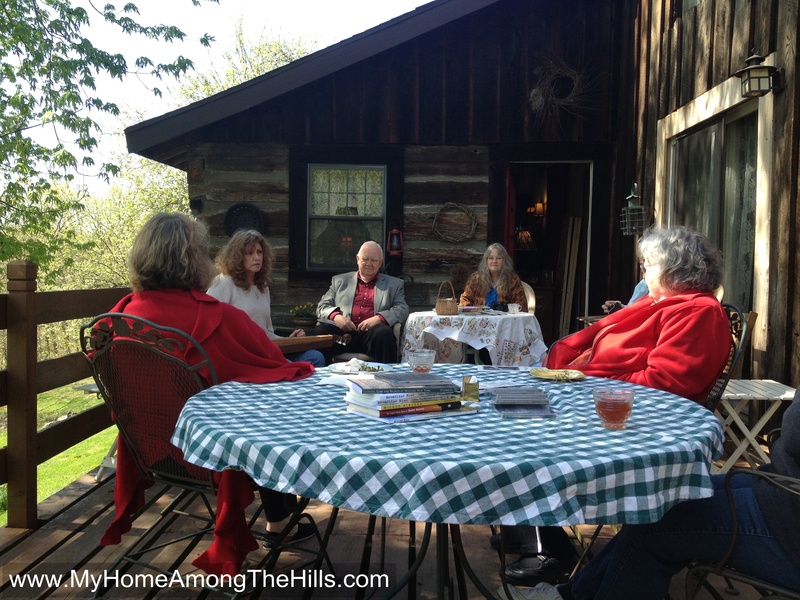 She invited us to walk about her house and drink sassafras tea and enjoy a variety of snacks. It was a beautiful arrangement and truly an awesome experience. It’s what story telling was at its beginning…friends and neighbors getting together to tell stories and enjoy each other’s company. Abigail and I had a great time and she re-told the stories we heard the whole way home. I am not sure I am really much of a story teller, but I am delighted that Abigail had so much fun listening and re-telling stories. I hope she will learn some mountain stories and make up some of her own. However she wants to communicate, the wonderful imagination that will be fed from these mountains makes me happy! Isaac was mowing the yard at my office tonight which gave me a little time to take in the local wildlife…and a lot of pollen and chlorophyll. Mostly there were stink bugs and flying whatnots but there was one extremely huge bumblebee with which I made friends. Emily really hates dandelions but I think they are sort of nice. I mean, in the spring time, all of the colors are so bold and bright…and it doesn’t get much bolder or brighter than dandelions. My bumblebee obviously agreed as he was all over the flowers that Isaac was mercilessly slaying! It’s taken me awhile to fully appreciate the lowly bumblebee. When I was a kid, I spent every weekday at the local swimming hole. I mean 100% of days. There was a “beach” set up along one of the local creeks in Tionesta, PA where I grew up. They had a concession stand and..well, that’s about it. But still, it was the beach. Anyhow, there was a ton of clover and back then, honeybees were still common. Between the honeybees and the bumblebees, I got many stings and I hated that. Heck, I have been stung so many times since then, I guess I have made peace. 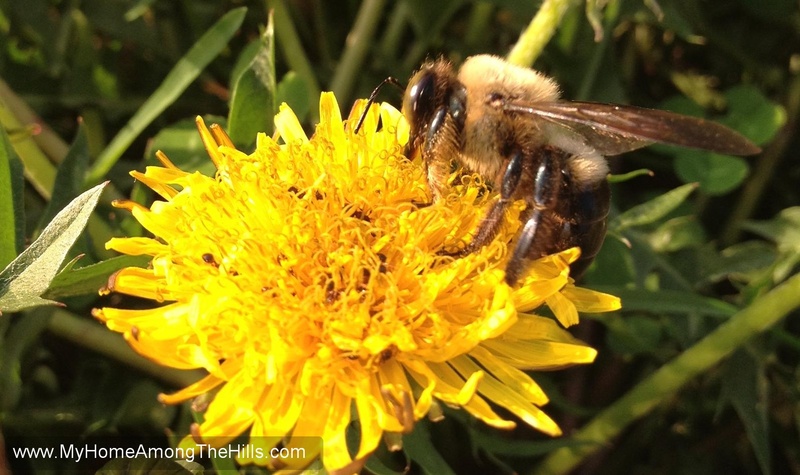 Most small critters fascinate me but I think bees of all sorts are among the tops in my book! So, my bumblebee and I will check in each week as Isaac cuts the grass…as long as I can keep Emily from plowing under all of my dandelions! I get wild hairs sometimes. It is usually not a big deal but when I get into something, sometimes I jump in with both feet. Honestly, most times I jump with both feet. Plans are nice for people who like to plan, but I often just go for it. I posted a few weeks ago about the Chattanooga Plow Company cane mill I got to make sorghum. 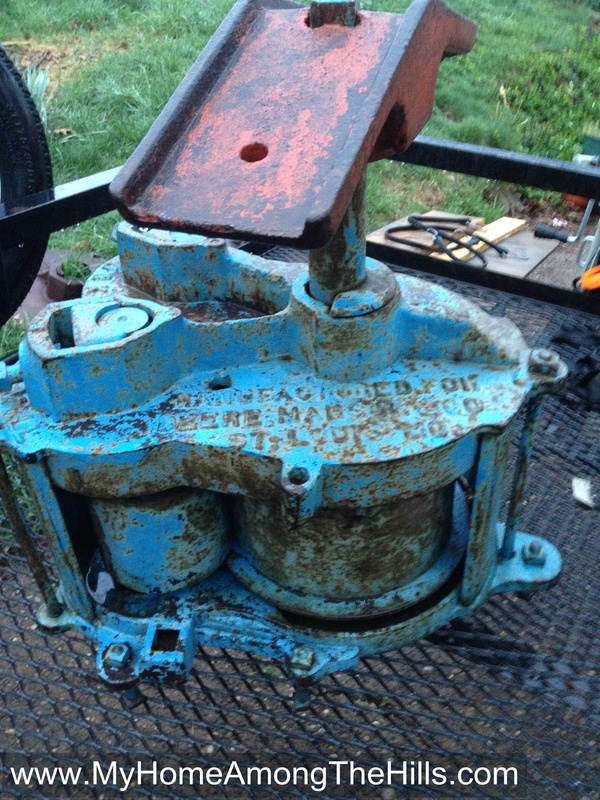 In response to that post, a gentleman in Minnesota contacted me about a mill he had inherited from his grandfather…in Minnesota. That’s probably a little far north for sorghum and definitely too far north for sugar cane. He wasn’t sure why it ended up in his grandfather’s barn but he wanted to find it a new home where it would be used as it was intended. We emailed back and forth for quite awhile. I considered driving to Minnesota to pick it up but that seemed like more than I wanted to bite off. I checked around for shipping costs but since it was so heavy and the weight was concentrated into such a small package, the prices were insane. The highest price I saw was $2300. I really wanted this mill though. It is sort of cool to add to the collection because it was made by Deere & Mansur. That company became John Deere of course. What makes that fun in my book is that International Harvester which made the other mill (by buying Chattanooga Plow Company), got into the plow business when it appeared that Deere was going to branch from the plow business into the harvester business. I do not know the exact dates but these two cane mills would have been contemporaries and competitors. Anyhow, awhile back I flipped the tv to watch Shipping Wars. It’s a program following small shippers who bid on parcels that need delivered. 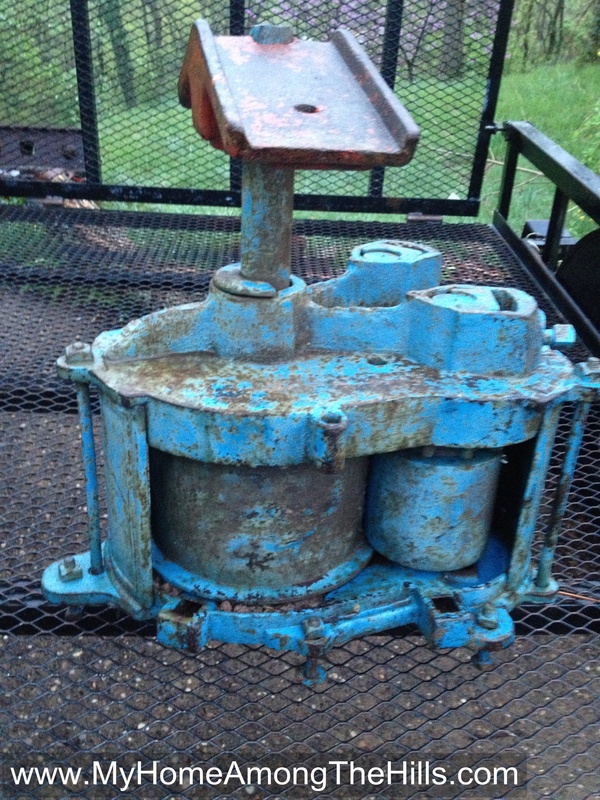 The idea is I put a bid request for delivery of my cane mill and small (and some large) shippers bid on it. Bids go lower of course so I make out better and can choose the lowest/best bidder. On the show, they follow a few very colorful shippers, most of whom have a van or small truck where they pick up several packages and bid on additional deliveries along their route. So, I signed up and a nice couple from WV happened to be in Minnesota and were heading through WV on their way to FL (or something like that). They bid on my delivery and it worked out beautifully. They called me often with status updates and I could track their progress with the website that manages all of this. I guess not everyone has great luck but my shipping battle was a done deal! 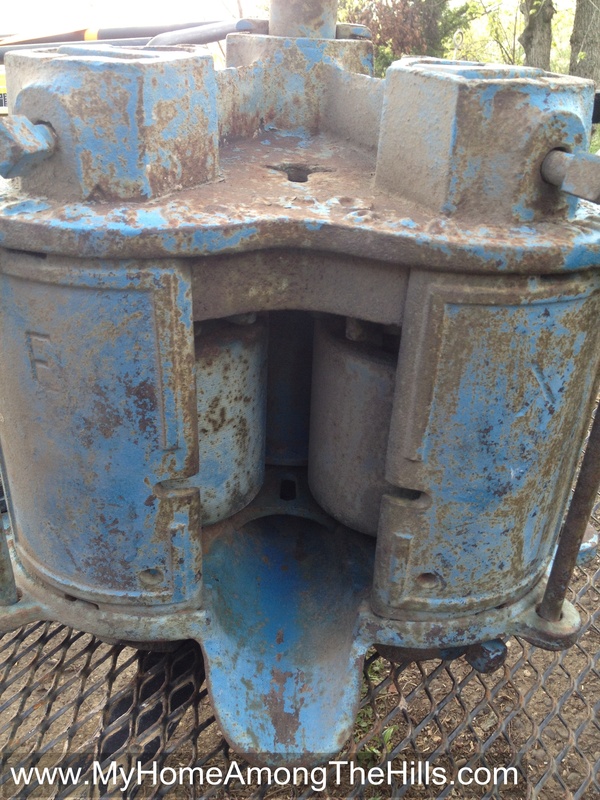 I received the mill and have plans to fix it up and use it along with the bigger mill. 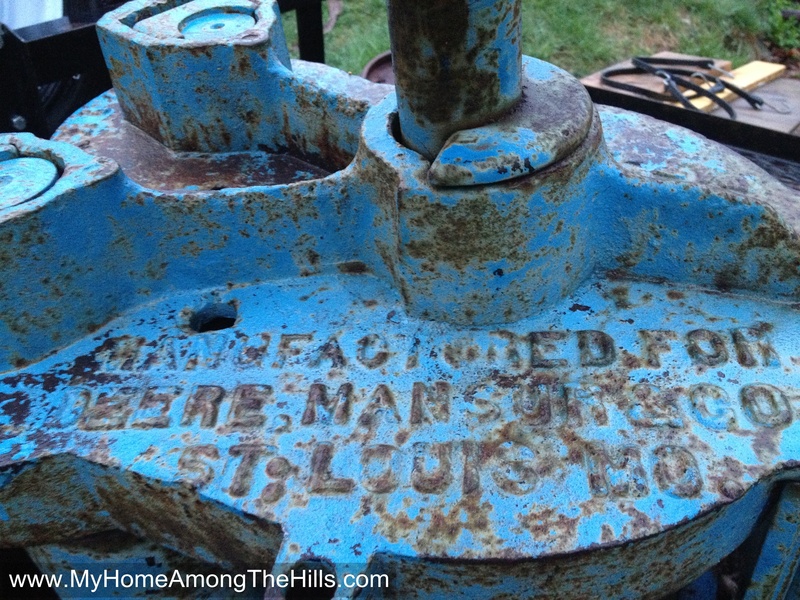 Honestly, I am at the edge of giddy about having these cool and historic pieces of farm equipment in my possession. Emily may be less excited but she surely is a tolerant and kind woman! We ripped down all of the walls from Abigail’s room and loaded it into boxes. We just got “medium” boxes from a store and they weighed, when full, around 80 pounds each. Emily and I hauled them down the steps to the trailer. One day last week, I hitched up the trailer and headed to the dump. 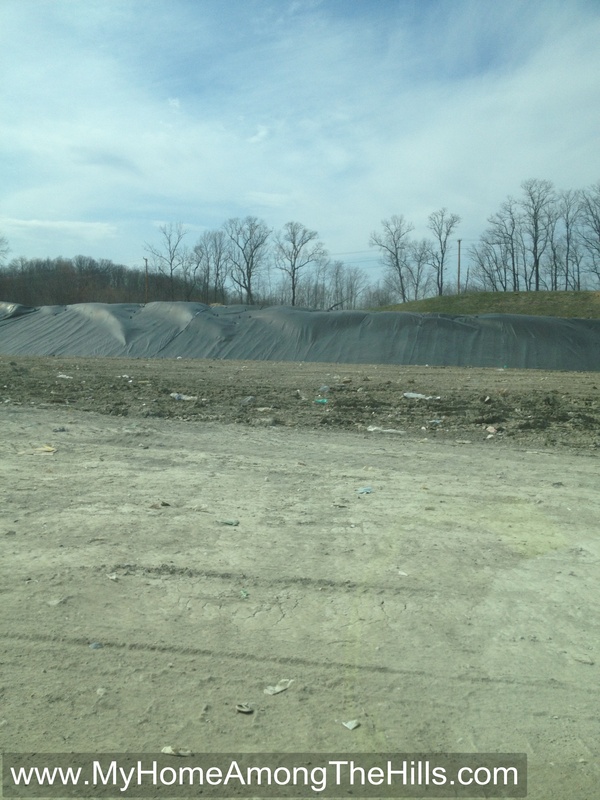 I have never been to a landfill before. 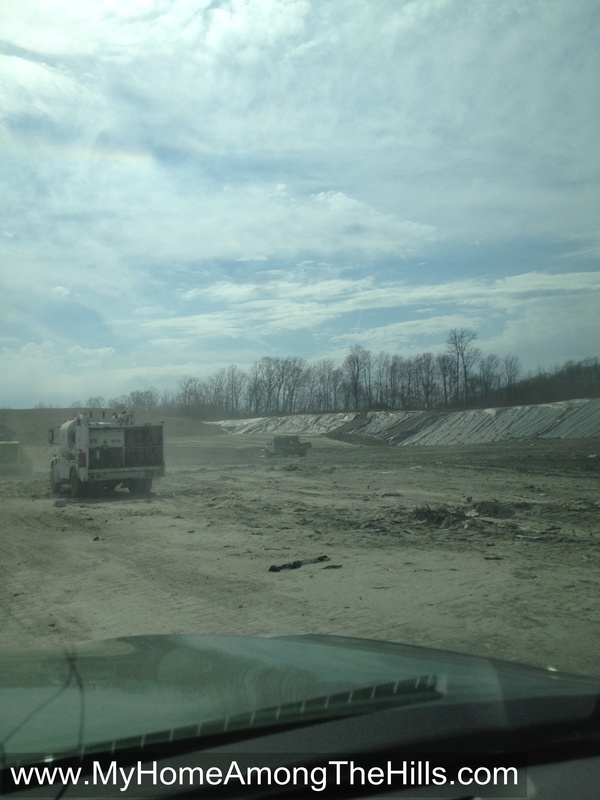 When we lived in TN, our county had a really cool place we called the dump. In actuality, it was a bunch of big dumpsters where the county would accept trash, metal, plastics, etc…pretty much everything. It was open every day and was super convenient. 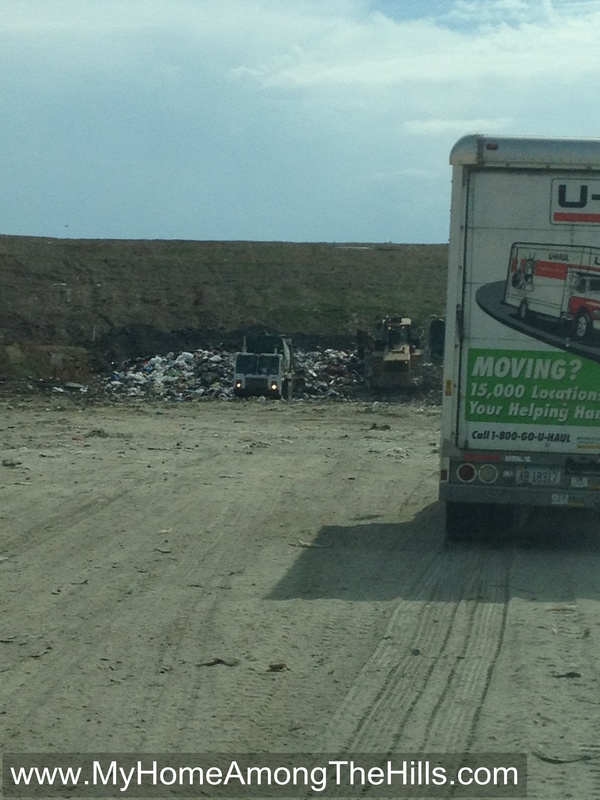 It was a dump I guess but not a true landfill. So, here in WV, my county does not have a TN style dump so I had to take the boxes to our proper landfill. 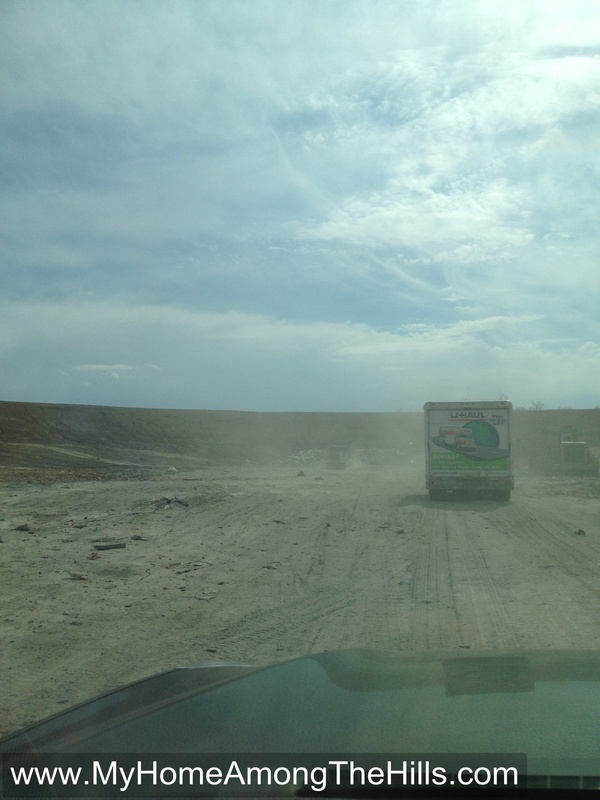 I don’t know if you have ever taken stuff to a landfill, but it was an adventure! I pulled onto scales where the nice lady took down my information and my weight. She then told me to “follow the dust and stay out of the way of the guy on the loader.” I get that it is a large piece of equipment, but it made me wonder if the guy on the loader was stable. Anyhow, I followed the dust awhile and sure enough, I could see a huge loader driving back and forth over a huge pile of junk and trash. Truck after truck was lined up. They whipped around and backed up to the pile, somehow missing the guy on the loader. Some unloaded stuff by hand, while others in the big trucks dumped and ran. Not having a dump trailer, I had to back into my spot and unload by hand. As you might guess, the smell was…bad…very bad. Bits of stuff were blowing around. Crows were picking over who-knows-what. It was dusty and I always had to keep an eye out for the guy on the loader. Watch out! It’s the loader! Once I had it all unloaded, I had to drive my way back out through the huge ruts and blowing junk. Getting out was harder as there was no dust to follow. There was still plenty of dust but it wasn’t the following kind of dust. Anyhow, I finally made it back out and drove back up onto the scales. My load ended up weighing 820 pounds which cost me around $16. That seemed like a pretty good deal. I had another same-sized load I took another day so my house certainly groaned with relief. One little room shed 1600 or so pounds of weight. I guess the guy on the loader was probably happy to see more junk to push around too, so all in all, it was a pretty cool experience. 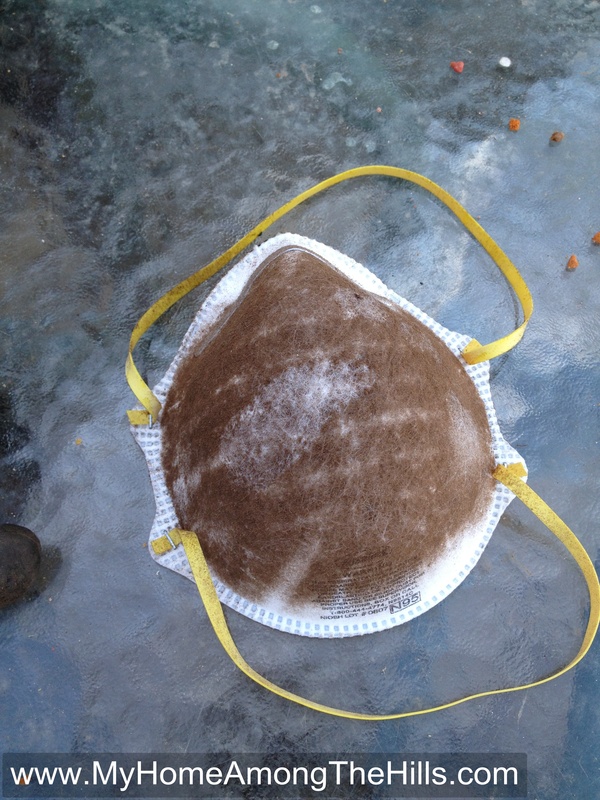 My nose will never be the same and I permanently coated my lungs with pulverized nasty blowing around the landfill. 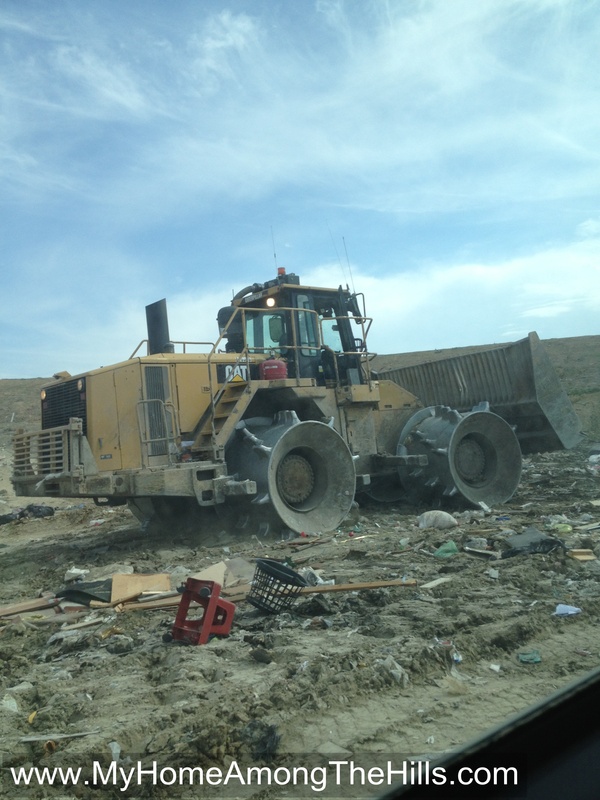 Who knows, maybe the guy on the loader was trying to find his way out and was just following the wrong dust! Abigail wanted a new bedroom and that’s what she is going to get! 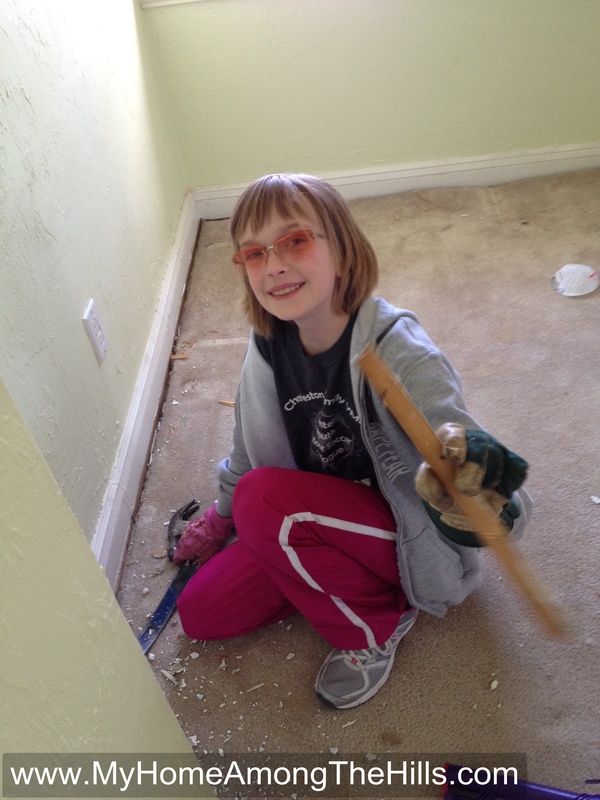 Emily’s Dad, Emily, and Abigail tore up the carpet and tack strips and I demolished the walls and ceiling. 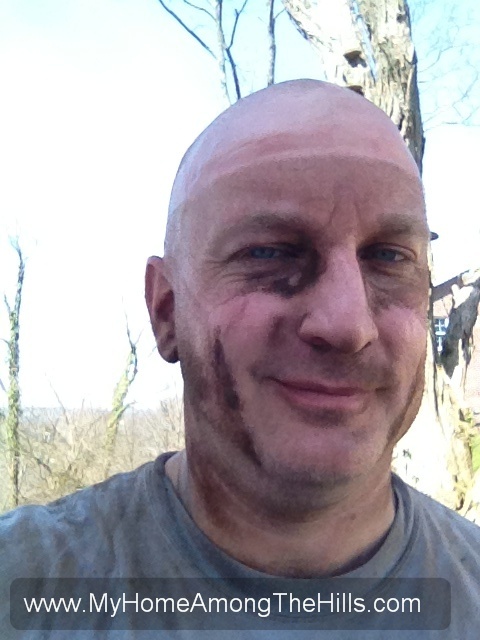 That sounds easy and mostly it was (I used a 16 pound hammer which made things go quickly) but it was filthy work. 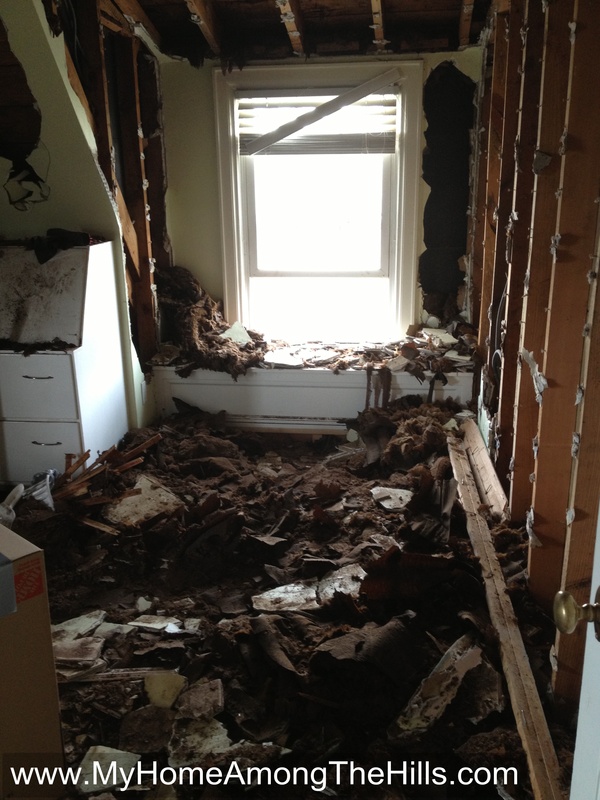 The other day, I said there was no insulation in her walls but I was wrong. When our house was built in 1939, apparently it was pretty modern. 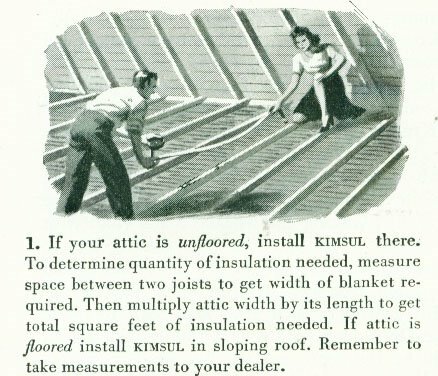 The builders used Kimsul insulation, made by Kimberly-Clarke. Kimsul is made from bats of crepe paper impregnated with asphalt. Apparently it was originally developed as an insulation for refrigerators, car dashboards and homes. I am not much for old movies but Kimsul was popularized by Cary Grant in the movie, “Mr. Blandings Builds His Dream House”. Mr Blandings didn’t have to go back in years later and deal with it though! Imagine 75 year old crepe paper exposed to numerous heating and cooling cycles. It was packed down into a nearly flattened blanket so had no insulation value left (insulation only works if it is not compressed…it has to have dead air space to slow the transfer of heat). Whenever I touched the Kimsul, no matter how gently, it disintegrated and turned into Kim-snow. It’s dirty-oil-brown, paper-like and all around miserable stuff. Emily and I wore dust masks and glasses so we were somewhat protected, but we still got pretty messy. I just took a shovel and scooped up the old plaster and insulation into boxes and we carried it down to the trailer in preparation for a run to the landfill. We are almost done with all of that so she should be back into her new and improved room in…oh…6-8 years! 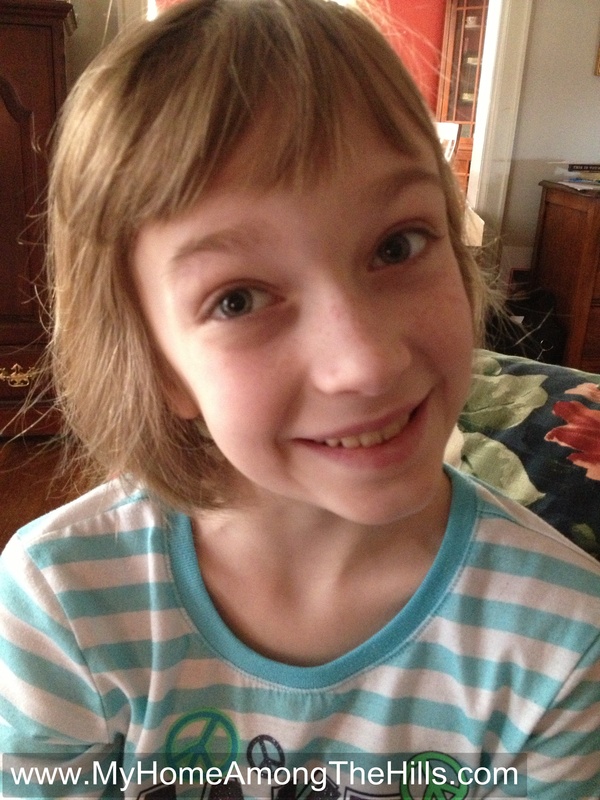 While I am a little late in documenting it, Abigail moved from single digits to double digits this week! 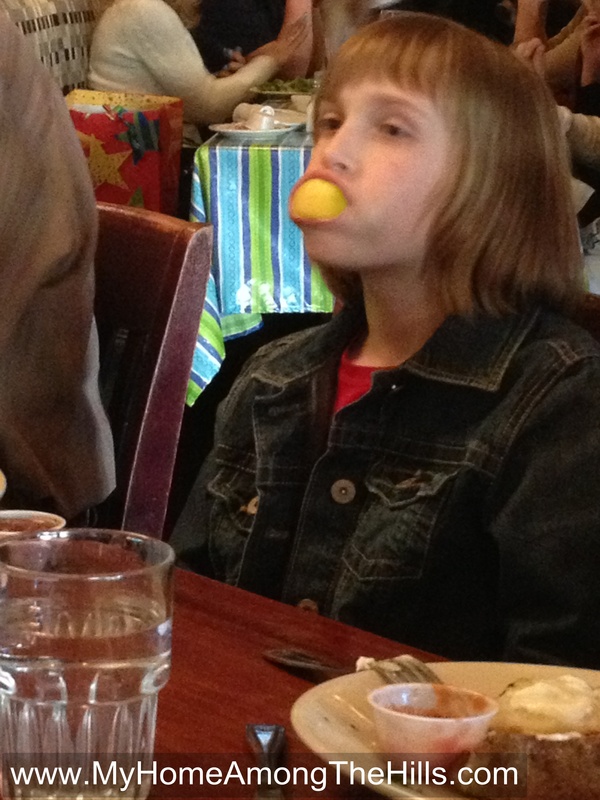 It’s hard to believe it was a decade ago when she was born. I still remember when I crossed the decade mark. It seems like yesterday and that was three decades ago! 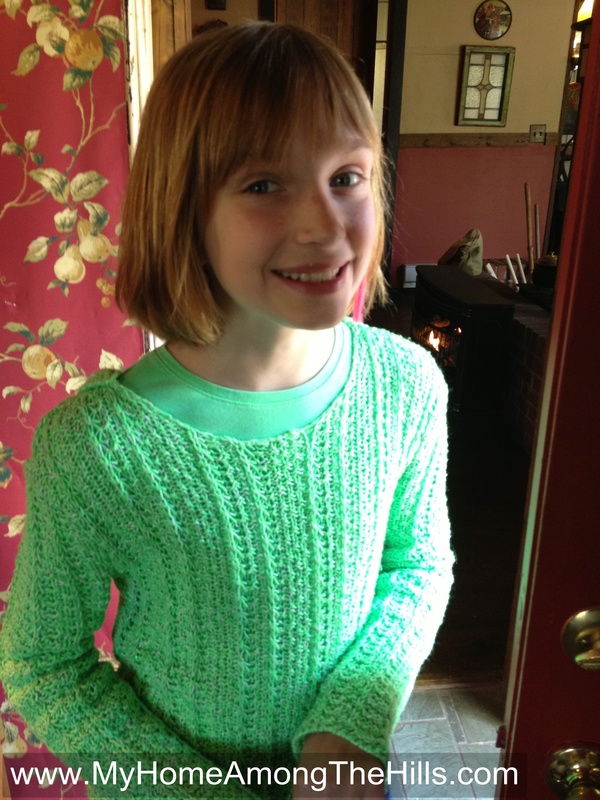 Anyhow, my little baby girl is growing up and it is so exciting to see her blooming into a cool kid! Sh’e smart and interesting and still likes dirt and bugs. For her birthday, all she wanted was a new bedroom. We live in an old house and her room could use an update…something from this century or even the later part of last century. Her mom and her Granddad are helping her rip out the carpet and the old cruddy plaster so we can freshen up everything. We are even going to install an overhead light which she desperately wants! It’s funny how the simple things mean a lot to her…and that makes me happy. She’s a great kid and I love watching her grow up into a great young lady! 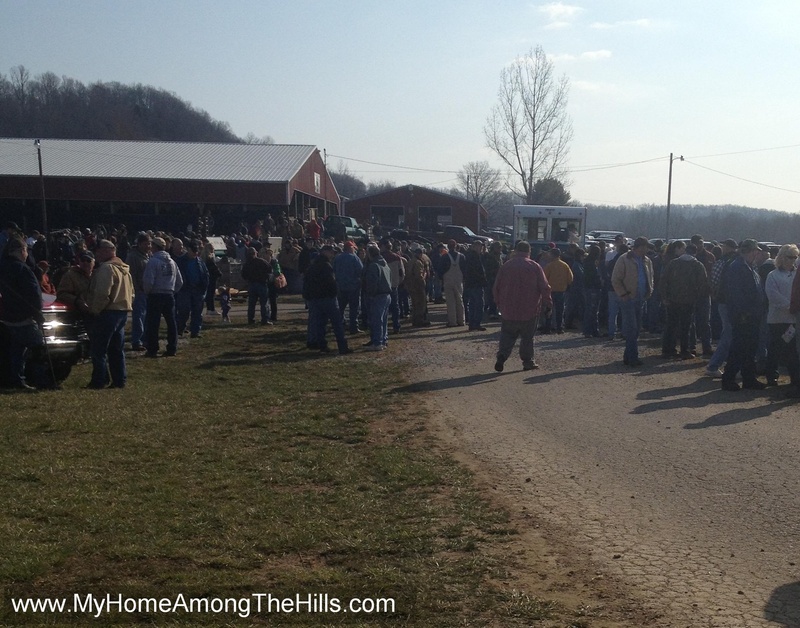 Last weekend I went to an auction that benefits the FFA in Ravenswood, WV. I heard about it sort of accidentally so I didn’t really have any sort of a plan together but I heard that there were several different qualities of junk available. I have heard people say that at flea markets and auctions, you can only get junk…you can find your plain old, run of the mill junk up through first class junk. As I wandered around the Jackson County Fairgrounds, I was surprised. To be sure, there was a lot of junk available for a few dollars per ton. There was some really great stuff too, and since I really like stuff like this, I spent a few hours perusing the piles. I think what I enjoyed more than anything was the sound of the auctioneers. Most everyone knows the general sound of the auctioneer’s call and most people wonder how anyone knows what price they are paying for something. 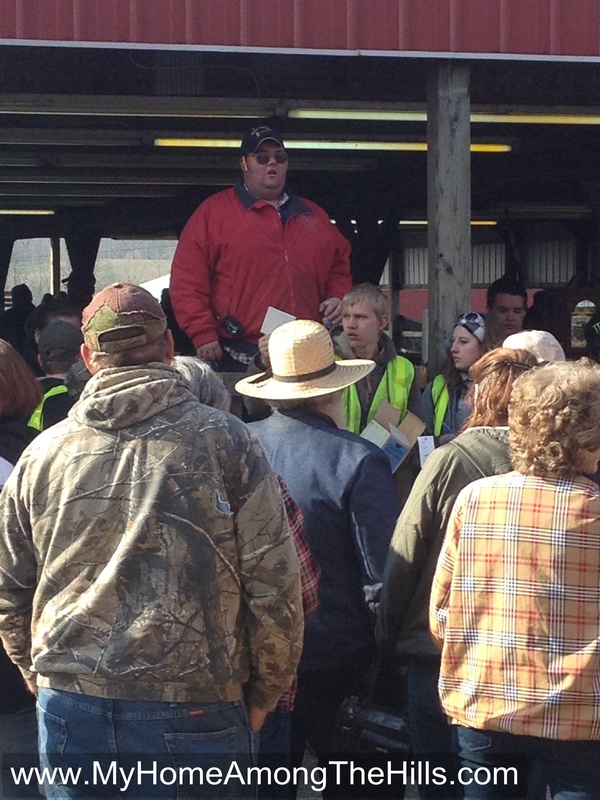 If you have never heard a real auctioneer calling, take a listen to a recording I made of my favorite guy. From the recording, it is hard to tell what is going on I suppose, but I have to tell you, in person, I was never really in doubt about what he was selling (even if he just named it a big box of junk) or what the current bid was when he was calling. 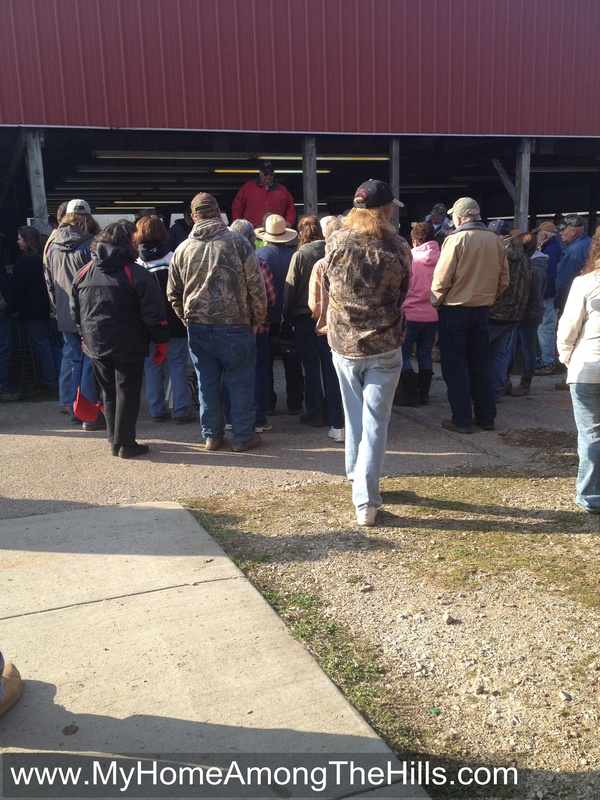 If you have never been, go to an auction some time! I think next year I will go again to this auction and this time, I will have a plan!